Winter doesn’t seem to end these days and the cold weather makes me and my body totally unhappy, dry skin all over :( Especially hands and lips (also the whole face) seem to suffer a lot. 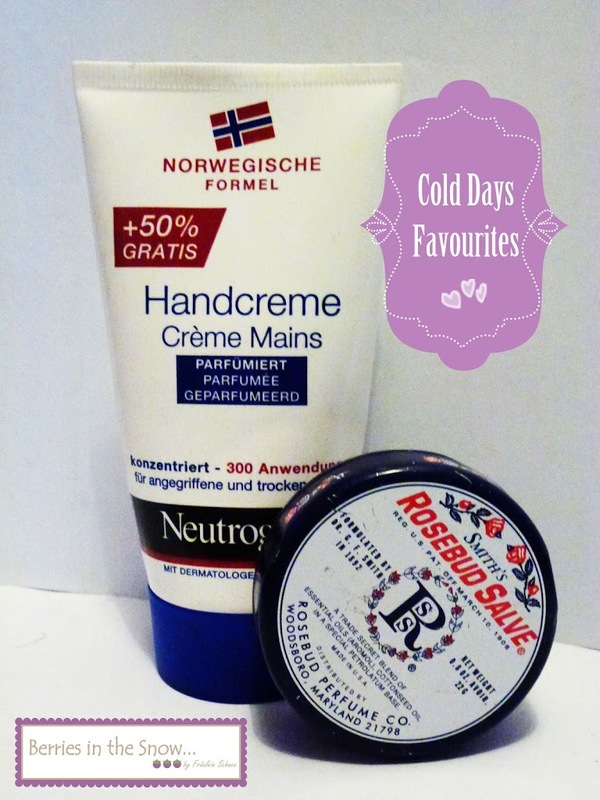 Nevertheless, I figured out a good “winter-combo” for my handbag, which is my constant friend in these times. This combo is made by Neutrogena Hand Cream and a jar of my beloved Smith’s Rosebud Salve. Neutrogena® Hand Cream delivers effective relief for dry, chapped hands.This clinically proven, highly concentrated formula rapidly heals dry hands. 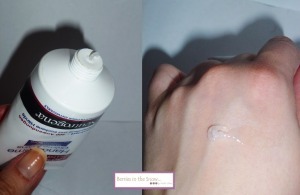 It noticeably improves the look and feel of your skin.Hands feel soft and smooth after just one application. 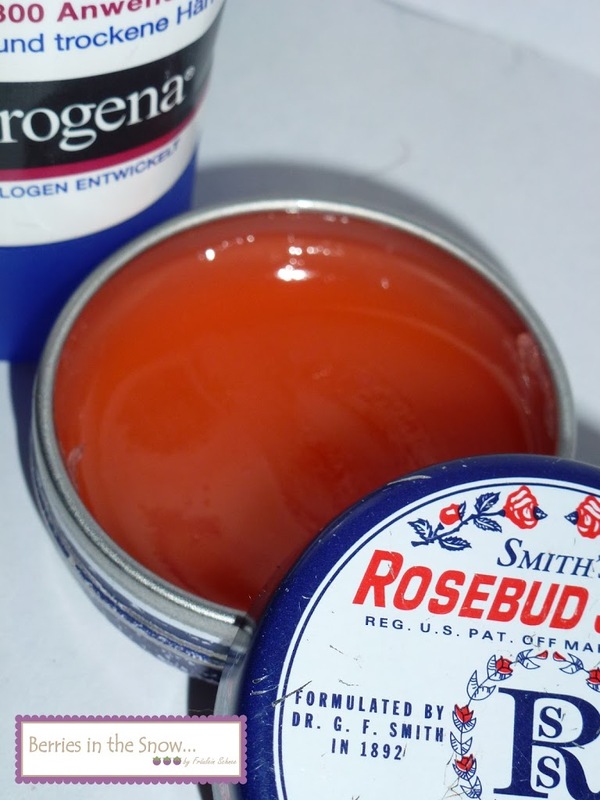 The second product I want to share with you is Smith’s Rosebud Salve, a classic for most people, and I also really love it!♥ The one I own is the classic Rosebud Salve with it’s wonderful rose smell. It consists of a petrolatum base and has thus a similar effect to the Neutrogena hand cream by building a layer on the skin and preventing the loss of moisture. It is greasy as petrolatum is supposed to be, but it doesn’t feel sticky or unpleasant at all. The lips have a feel like velvet. The best about this product is, that you can use it for all other things, like for removing make-up, for putting it on rough and dry parts of your skin in general and it is good for nails and cuticle as well. It costs US$6 at sephora and contains 23 g in a retro style metal tin. This is quite a lot product and it will last you a while. At German stores you find Rosebud Salve sometimes, but it costs 12 €, which is way too much! Ingredients: Cotton Seed Oil and Aromol, with essential oils blended in a special petrolatum base. Rosebud Salve is perfect for travel as an eye make-up remover, cuticle softener, sunburn easier, dry skin healer, and frizzy fighter. Use Rosebud Salve around the eyes and on the throat for severely parched, dry, or wrinkled skin. Hi there! I’ve nominated you for a Liebster Award.